It’s that kind of day…. 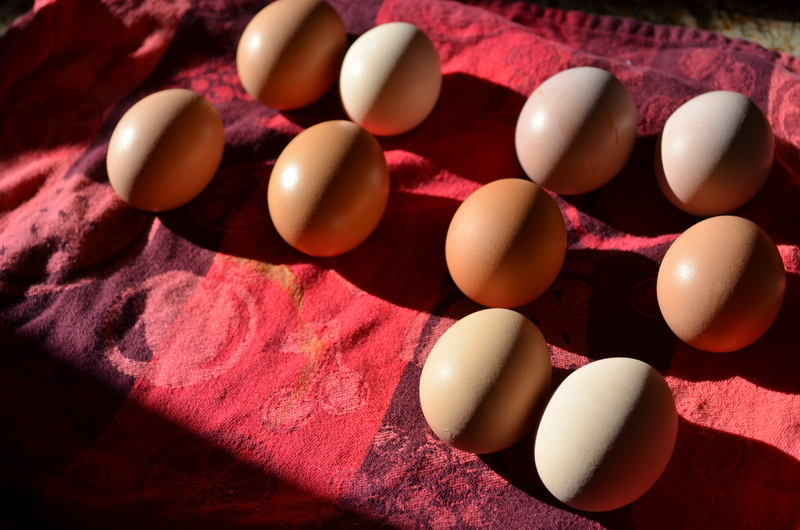 It’s the kind of 60 degree day which makes the hens kick up their egg production. They are squawking loud from the barn as they wait in line to get into the nest box. The egg increase catching them off guard! 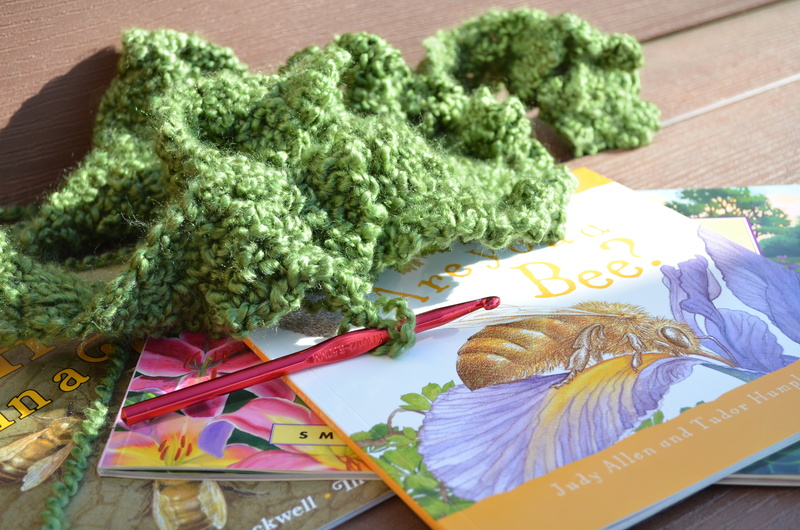 The kind of day where you sit in the sun and crochet while reading aloud books of bees to which ever child will sit long enough to hear. The yarn warming in the sunlight and you hope it will infuse the threads for the second half of winter with all the suns rays. Those bee books mixed with the warm sunlight spur you out to the bee supply shop to figure out if you are really up to bees…. and I think I am! on such an adventure you don’t even notice your parents standing on the deck getting all sentimental as they watch their “baby” sons out taking a big walk all on their own. ← Sharing Light…..or how to make Beeswax Candles, a tutorial. I just love that egg photo. Sounds like a wonderful day…. Enjoy! Sounds like a wonderful seed inspired day! I would take this kind of day, every day! Was that the creative Zim with the squid belt?! He must have visions of oceans out there, just beyond Papa’s house. Cheers to cute kids and warm February days! Oh no no… Zim would never concoct a level a magnet and a squid… that is Ash. 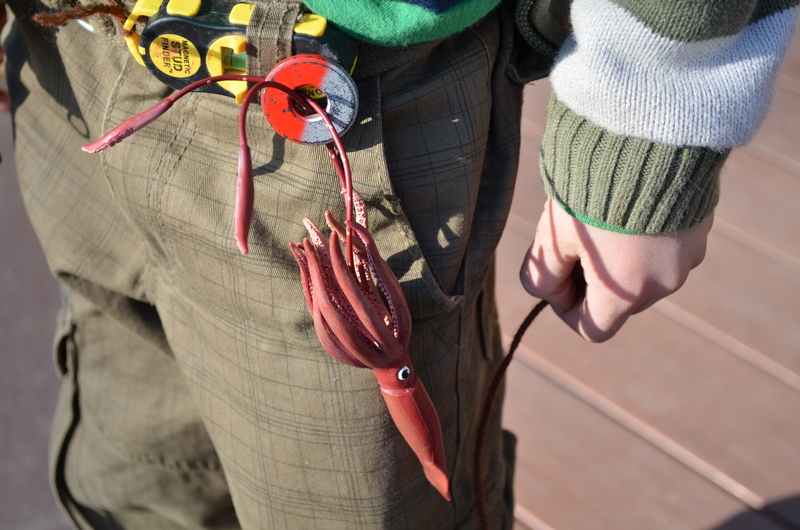 He saw that pic and says, “awww man that looks great…Hey Dad…look how perfect I twisted the tentacles into the magnet”… yep, only in my house! Which if you can believe it…is Ash’s new springboard for wanting to spin yarn! He thought he had such a talent for the squid..how hard would roving spun into yarn be! Oh there you are… I miss seeing you.. but babies are like that, right… they require you to wrap around…close in. Enjoy to you too… these are the days, aren’t they! beautiful word pictures…love the squid and the eggs! having kids is a constant reminder of the great God we have! isn’t that funny that kid with the squid. side note: a few blogger blogs haven’t been letting me comment… just an fyi so you know I am visiting you but it won’t let me comment.